Most of the marketplaces modules (e.g. 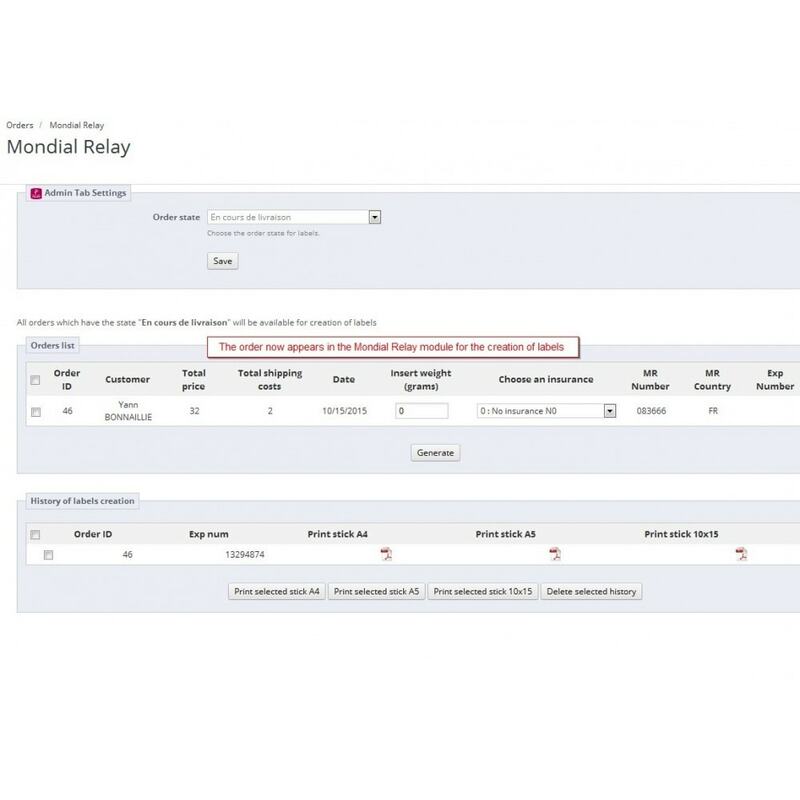 "Shopping Flux", "Lengow", "Beezup") are not able to create the link between the Mondial Relay module and the Relay ID choosen by the customer on the marketplace when the orders are imported into Prestashop. 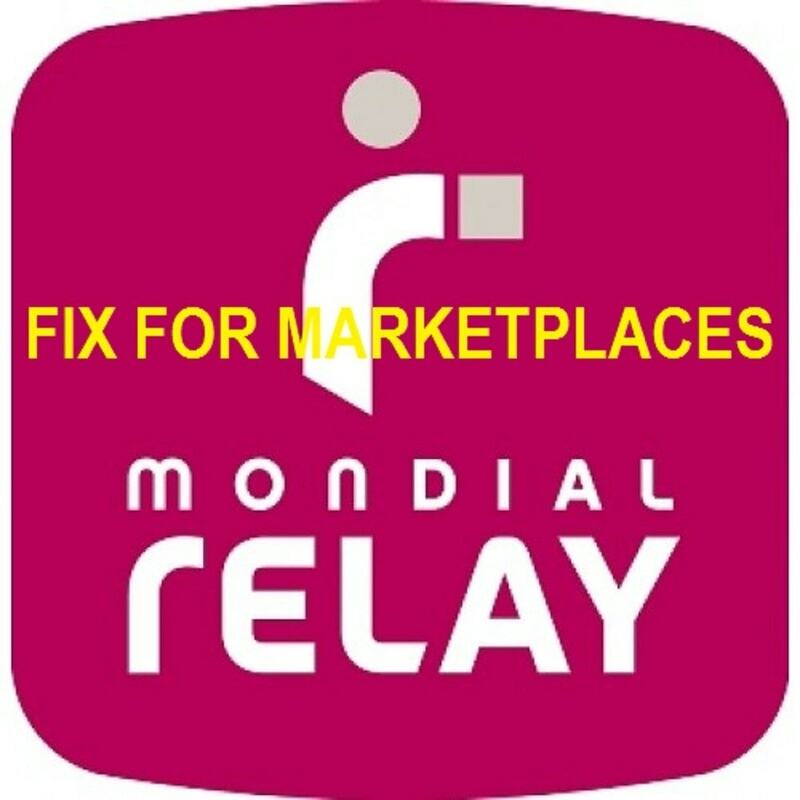 This module fixes this problem, you can now assign the relay ID to an order and generate your Mondial Relay tickets normally. 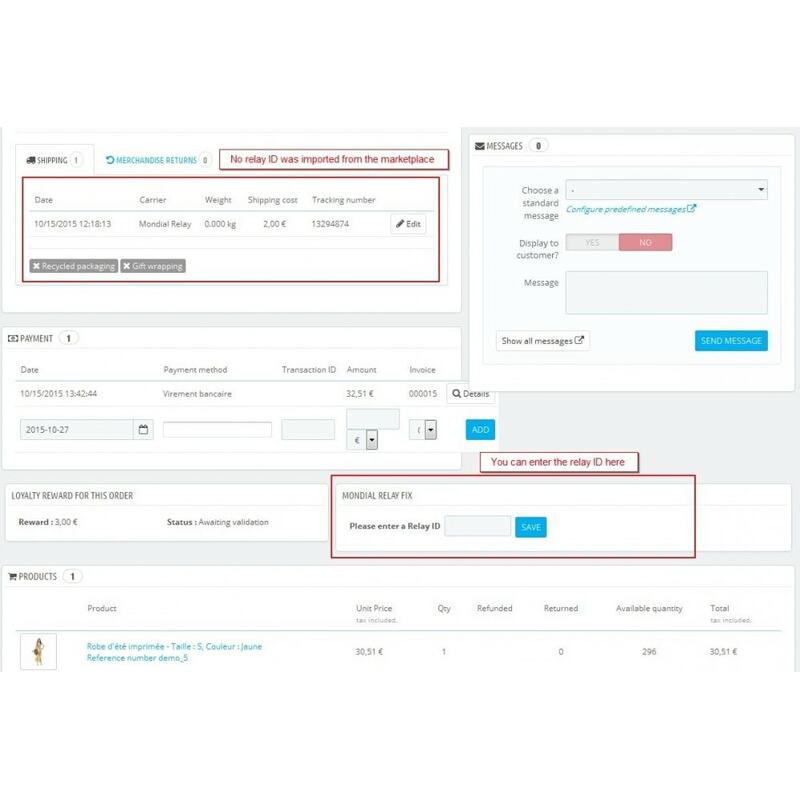 The module acts only on the detail page of an order in the administration of your shop. - Either the ID relay was imported by the marketplace module in the field "Other" of the customer's delivery address (e.g cdiscount order in ShoppingFlux) and in this case everything is automatic when you enter the order detail, the link between your order and Mondial Relay module is restored. You have absolutely nothing to do. This case can be handled by a cron task if you don't want to enter every orders manually. 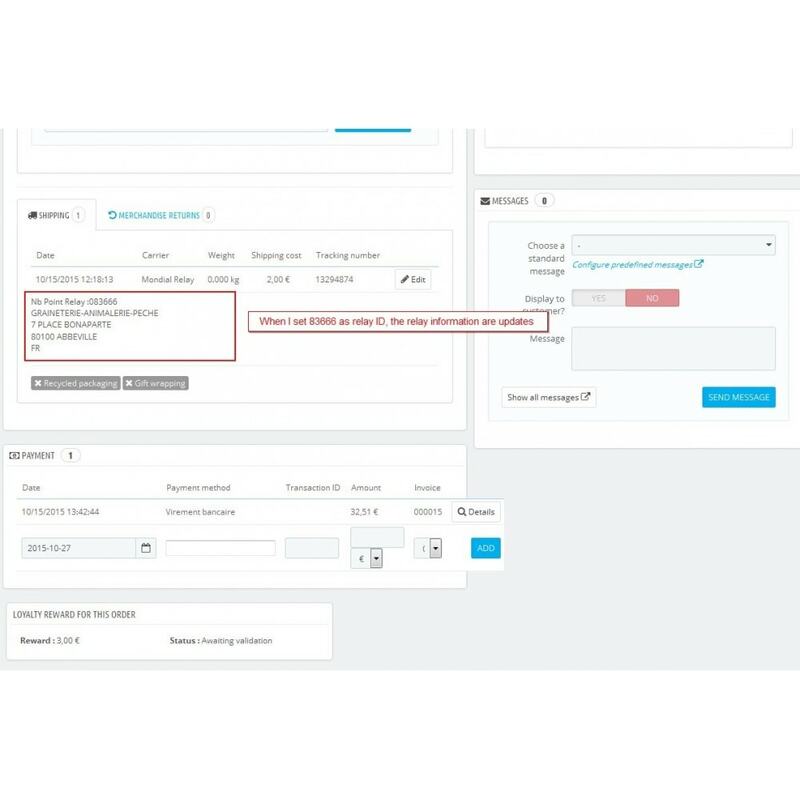 - Either the relay ID is not imported into Prestashop, and in this case an input field appears on the form of the order, allowing you to enter the ID. It then queries the Mondial Relay API to verify the existence of this relay, and if everything is correct the Mondial Relay module is updated. Once the ID is entered in the orders, the Mondial Relay module works normally for tickets generation. This module requires the use of the Mondial Relay module available in PrestaShop.